The number of reptiles kept as pets has increased greatly over the last several years. The number of pet stores that carry them, the wide variety of species available, the ease of purchasing online and the number of reptile shows in metropolitan areas are all factors that have contributed to this. However, the increase in the number of pet reptiles comes with an increase in the number of health problems seen in these species. Husbandry, or how the animals are kept, remains a major problem for reptiles and is related to many health concerns. The category called reptiles is a grouping of animals that have some characteristics in common but also have a lot of differences. When it comes to what is required for proper care of a species, there is as much difference between a chameleon and a bearded dragon as there is between a dog and a cat. A pet may stay alive for a while with poor husbandry, but it won’t thrive and eventually will have life-threatening health problems. The best thing you can do for your pet reptile is research its needs before you get it and then work really hard to meet them. Almost all reptiles will benefit from ultraviolet light, and some will experience major problems if this need isn’t met properly. It’s also easy to think you’re providing UV light when you’re not. UV light is different from the white light that helps us see better. Just because the reptile light you bought a year ago is still turning on and putting out white light doesn’t mean that it’s still producing the wavelengths of UV light that your pet needs! A good rule of thumb is to replace a reptile light every six months to be sure all the wavelengths of light are still being produced. It may help to think about changing the bulbs twice a year when you change your smoke detector batteries or with the daylight savings time change. Taking your pet outside where it can get direct sunlight is a great way to supplement the UV light you provide. Of course, you should take precautions against escape, predators and temperature fluctuations.Another common misconception concerning UV rays is assuming that because glass seems clear that light can pass right through it. Unfortunately, the wavelengths of UV light we need for our reptiles are filtered out by glass. Putting a pet’s tank by a sunny window to get UV rays won’t actually give the reptile enough light. UV light needs to be direct. The bulb should generally be placed within about 18 inches of the pet. When purchasing a reptile light bulb, be sure it states specifically that it is for reptiles. Florescent bulbs are usually the best for most hobbyists, and they should emit both UV-A and UV-B wavelengths. Spending a little more to purchase a good reptile light bulb is one of the best investments you can make in your pet’s health. Diet is another critical area of reptile ownership. Some reptiles eat fairly simple whole prey items like rats, mice and fish, but others have diets that can be a real challenge to provide for in captivity. Many lizards and turtles eat a combination of plants and insects. Getting the right combination can be the difficult part. Consult your reptile’s veterinarian to establish a diet that will fulfill your pet’s nutritional requirements. Before committing to owning a reptile, research its common diet components to determine if you will have any trouble providing for it. Remember, an animal may do okay on a poor diet for a while, but, like people, eventually improper nutrition will catch up with it and cause health problems and a shorter lifespan. Calcium and Vitamin A deficiencies tend to be two problem areas for many reptiles. 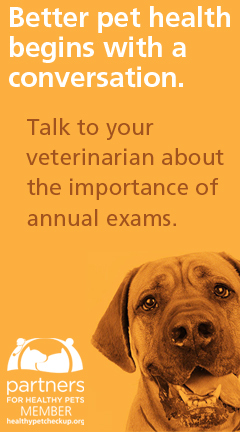 Be sure you know how your pet will get these two important elements. Calcium can be a particularly challenging element to get right in a reptile’s diet because it is interconnected with other functions of the body. If the UV light isn’t adequate for the pet, it won’t properly process the calcium provided in the diet. Additionally, not keeping your reptile in a proper temperature can prevent it from being able to digest its food or absorbing calcium. The third factor that affects a reptile’s ability to absorb calcium is another mineral—phosphorous. If there is too much phosphorous in a diet, the balance between calcium and phosphorous will be disrupted, leading to problems. Providing a healthy diet for your reptile can help prevent diet-related issues such as metabolic bone disease and difficulty laying eggs. All pet reptiles need some kind of housing. 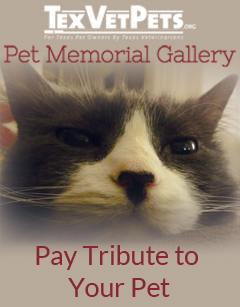 Having your pet loose in the house or apartment is not a workable situation. The housing should be large enough for your pet when it gets to be an adult and should provide something to climb on for those species that live above the ground. You should also set up the enclosure in a way that will provide an area where the pet can get out of sight. This can be done with dense vegetation, a cave, rock groupings or a hide box. Reptiles feel stressed when they are exposed all the time, and stress leads to health problems. Another thing to consider about your housing is what are you going to have on the ground. Things like sand and bark can be swallowed by a pet when it is feeding, causing intestinal blockages. One way around this is to provide an area where the risk of picking up extra material while feeding is minimal. If you have a snake, you may want to feed it in another bare tank or plastic container. Most turtles and lizards can eat out of bowls or saucers. The best temperature at which to keep your pet will vary quite a bit among the species, but almost all reptiles will need some additional heating. A range of temperature within the enclosure is usually the best approach. You can set up one end to be the warmest and have the temperature get a little cooler as the pet moves to the other end. With a range of temperatures available, the pet can adjust its temperature as it wants. You must be sure that the warmest end is warm enough for the species you have. A thermometer in the enclosure is a must for all reptiles. If you’ve done your research and know where your particular species lives in the wild, you have a good idea about how much humidity it will need. Desert species need low humidity, forest species need medium humidity, and species that live in tropical rain forests need high humidity. If a species that needs low humidity is kept in too high humidity, it will develop skin problems. If a species that needs high humidity is kept in too low humidity, it will develop respiratory and skin problems. Be aware of your pet’s humidity needs and try to meet them as well as you can, but don’t sacrifice air circulation to get higher humidity. Another thing you should note while researching your pet reptile is any safety considerations. Some reptiles are small when you get them but can grow to be large, strong adults. Some of these large reptiles can pose biting, scratching and crushing risks to people and other animals, so be mindful! Salmonella is another risk with most reptiles. Good hand-washing and sanitation is important when handling reptiles, especially with small children. To decrease the risk of exposure, reptiles should never be kept in areas of food preparation. If you have a health condition or take a medication that weakens your immune system, you should check with your personal physician before considering a reptile as a pet since it may pose a health risk to you. 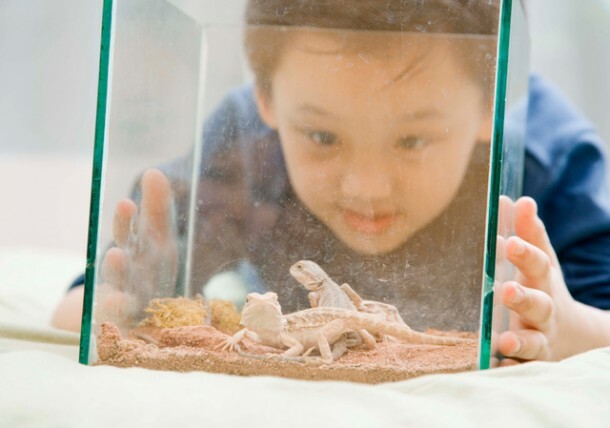 Keeping a reptile as a pet can be a fun, educational and entertaining experience. While many people don’t think of reptiles as cute and cuddly, they are surprised by the personalities they do see after they’ve had a reptile pet for a while. And for those people who have more than one of a species, you’ll definitely see differences between the individuals. Do your research before getting a pet. Pick a species that meets your needs and one that you can provide for, and then sit back and enjoy the uniqueness of the animals in the class Reptilia! Kevin Shurtleff, DVM, is a graduate of Texas A&M University College of Veterinary Medicine who practices at Dallas County Veterinary Hospital in Balch Springs.